This view of the master bedroom shows the double bed in the foreground, and the hand made traditional cottage doors in the background. Yes, that IS a flatscreen TV and DVD player you see in the room too! 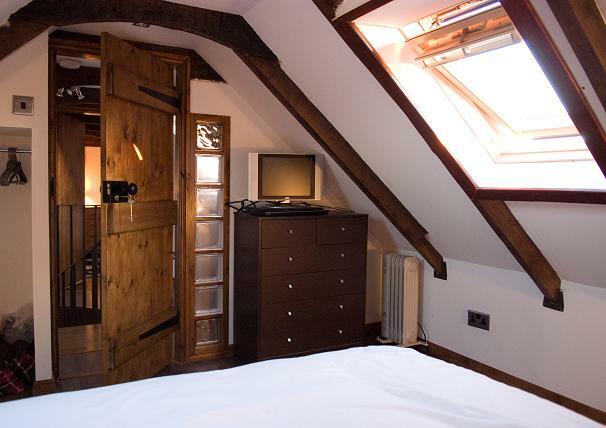 Storage is provided by chest of drawers and theres hanging space in the wall on the left.